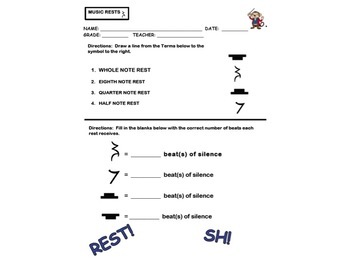 Assessment Worksheet for students, and great for Music Substitutes. 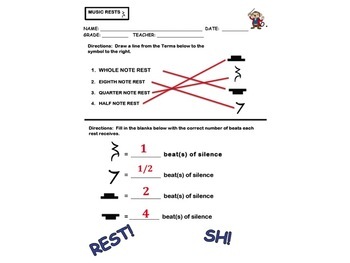 Quarter Rest, Eighth Rest, Half Rest, & Whole Rest. This file has been updated to provide all information.